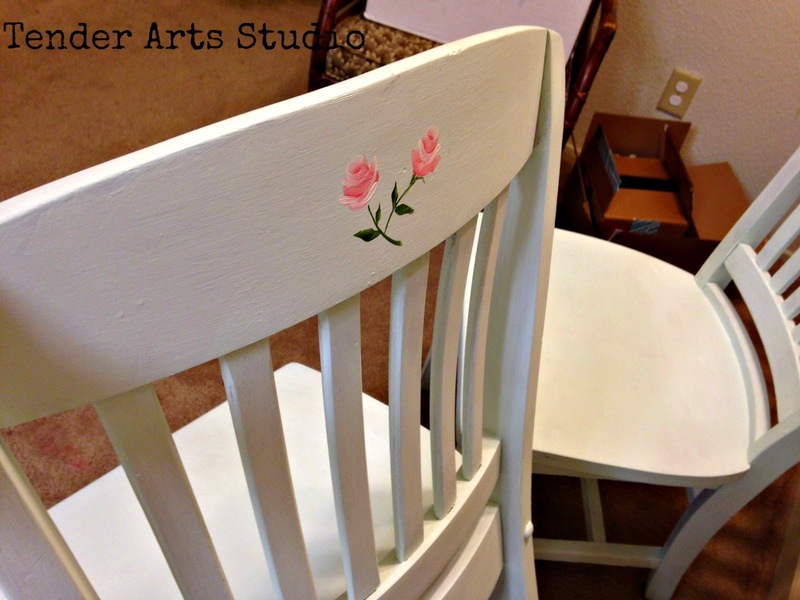 I had so much fun painting these chairs- aren't they so sweet? They are old office chairs from the 1950's. They were dark stained and pretty battered. When my boys moved out I worked to create a craft room / girl's room for me and my little Jamie Quinn. 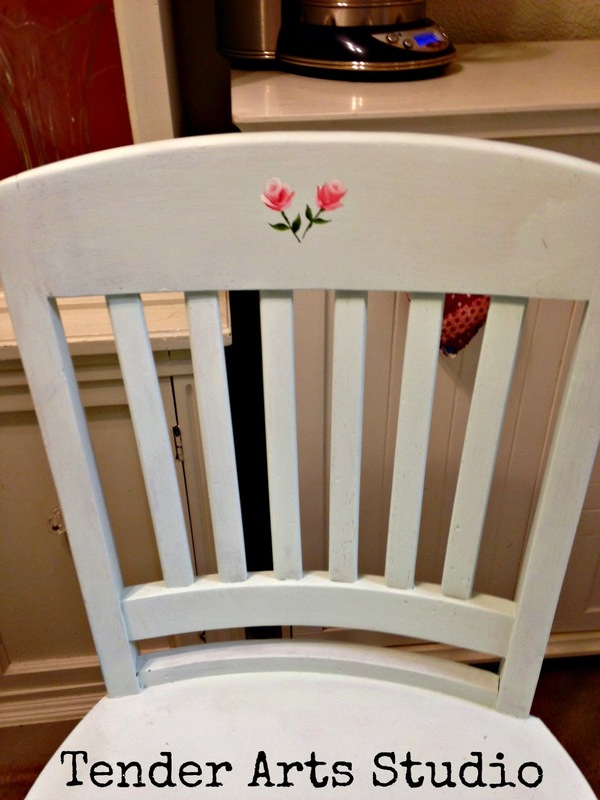 I had some oops paint in the palest of aqua and then I got to the really fun part- the roses! I studied all kinds of tutorials on You Tube and then went to work- one rose for Jamie, one for me on each item! 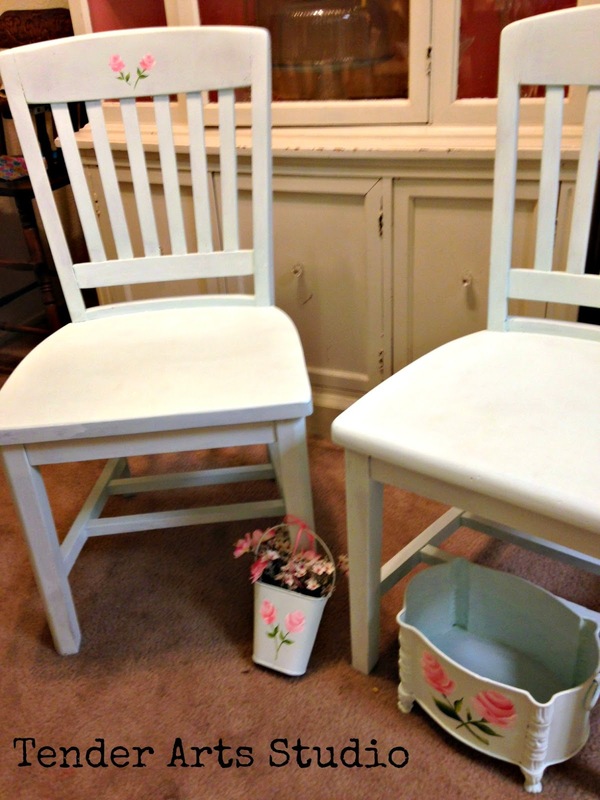 And then... because I had invested so much time into learning, I painted them on the front of the chairs, the back of the chairs, on a magazine basket and a little flower bucket! And now they are for sale because I am moving! While I'm a little sad about losing my second bedroom, I am super excited about losing my 45 minute commute! My commute will be a 10 minute WALK instead. How great is that? And I'll be saving money too which will all be going into the future home purchase fund. If you are in the Sacramento area and are interested, all four items are yours for $40. The past four years have all been about financial recovery for me and I've made such strides! I'm finally in a positive, debt free place and I want to maximize my savings as much as possible. 2008 to 2011 were really tough. I feel like I've turned a corner in my life and am so capable of achieving my goals now. What an amazing feeling! 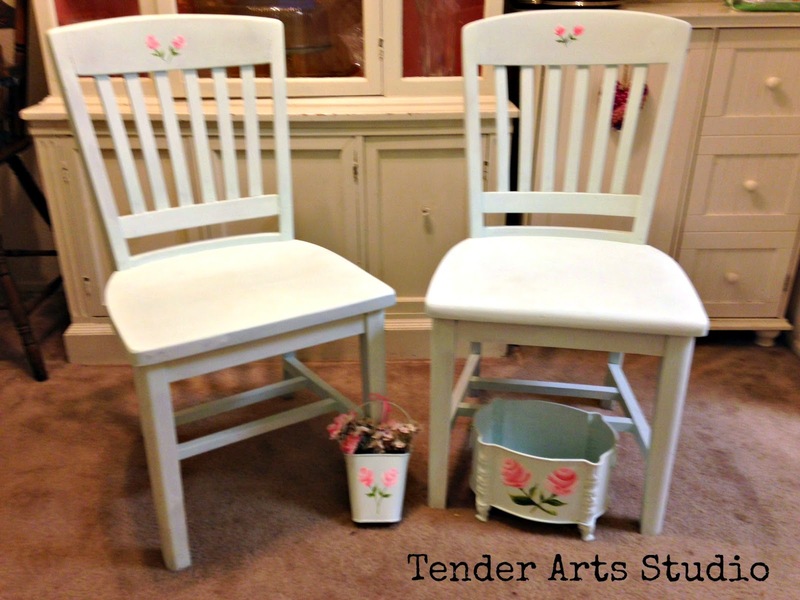 What lovely and sweet little chairs. The color is perfect. I used to live in Sacramento years ago.My daughter was born on Mather, AFB.